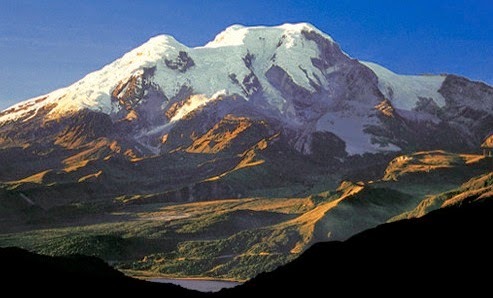 Found forty-miles northeast of Quito, Cayambe stands at 18,997 feet and is Ecuador's third highest peak. The views from the mountain are stunning as it looks out over Reventador ("The Exploder", one of South America's most consistently active volcanoes) and over the Amazon Basin. 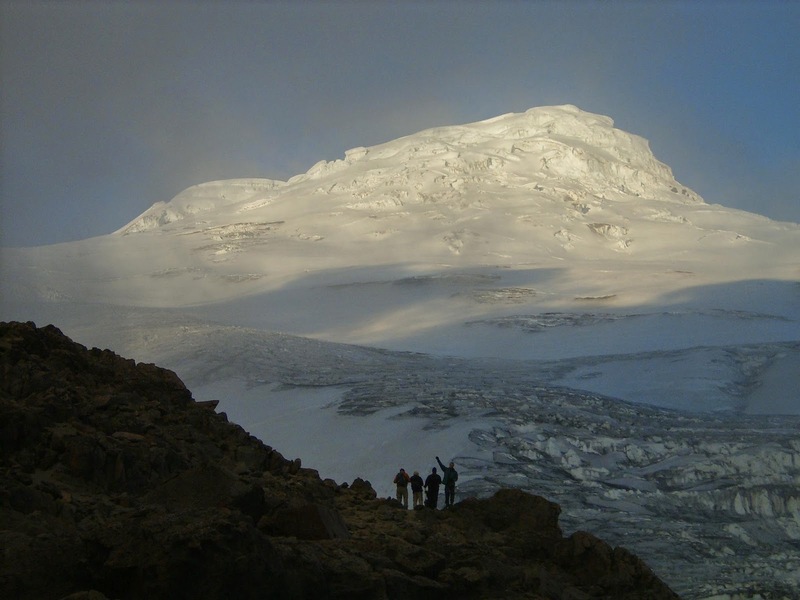 Cayambe's glaciers are large, complex and among the most active of all equatorial ice flows, and the varied glacial terrain provides an excellent training ground and a rewarding summit climb. At 15,387 ft on the mountain's south slope is the highest point in the world crossed by the Equator and the only point on the Equator with snow cover. 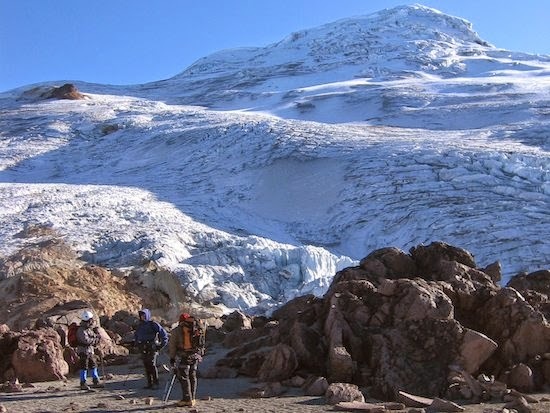 And while our Ecuador programs make their way up the slopes of Cayambe before any other mountain, I personally find it to be the most fun climb of the trip. 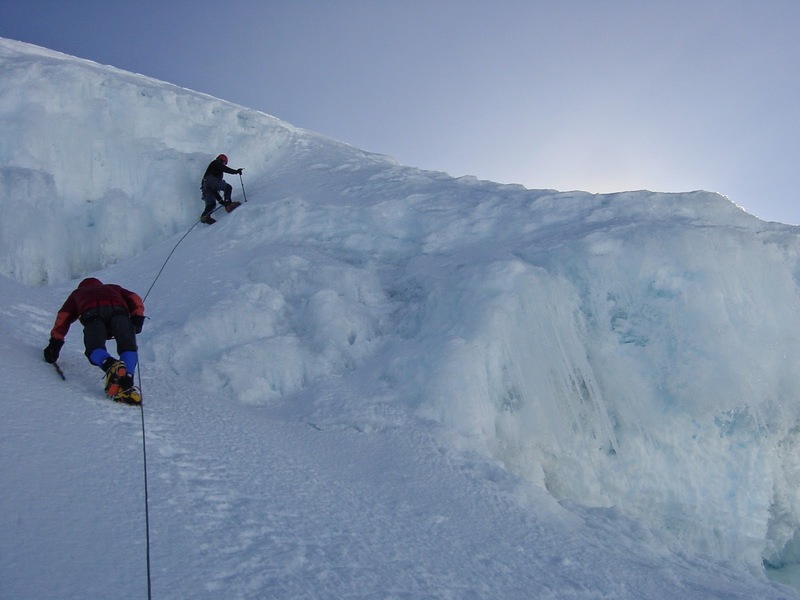 The mountain is mostly gentle, but toward the top you do have to navigate through some seracs and crevasses. The climb finishes by making its way up a fifty-degree pitch to the summit. Cayambe is only a few hours drive from Quito. Cayambe from one of the many surrounding valleys. 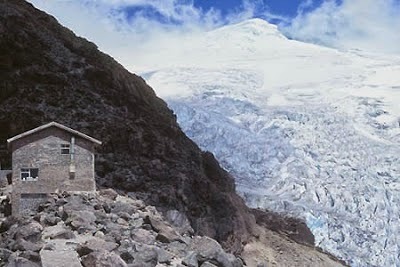 The Cayambe Hut above a serac field. We train for the climb on the field down below the hut. An AAI Team checks out the mountain shortly after arriving at the hut. The view the night before a summit ascent. The final pitch to the summit. 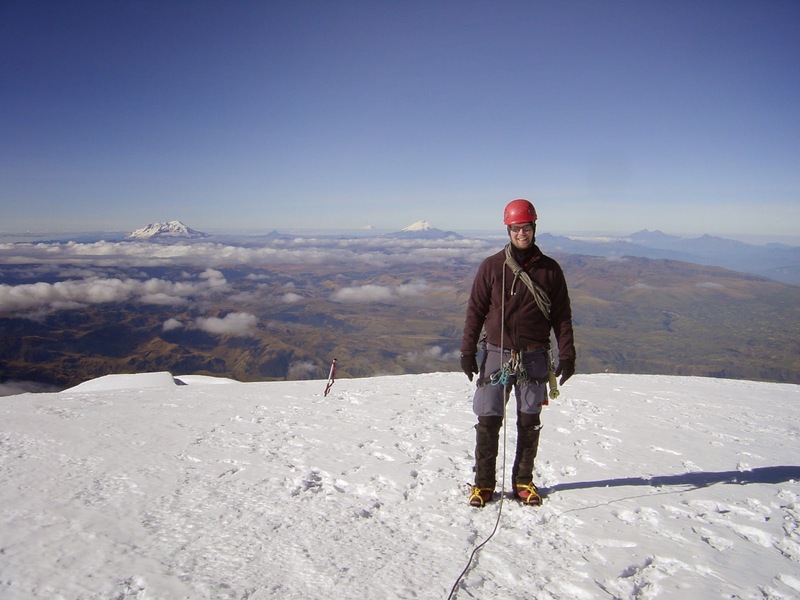 The author on the summit of Cayambe.